About two months ago, an article was published by the Clemson University Odessey. The title of the article was Why Girls Love the Dad Bod. The article shot to popularity and has logged over 500k shares since its publication, and #dadbod has been a near-trending hashtag ever since. Mackenzie Pearson, the author of the piece, explains that the dad bod “is a nice balance between a beer gut and working out” and goes through a number of bullet points as to why women find it attractive. After the comedy of the post died down on the Internet, commentaries began popping up about the female alternative of the dad bod, which is, quite obviously, the mom bod. The mom bod takes on entirely different connotations than its counterpart for a myriad of reasons. The most glaring being the hyper-sexualization of young girls and the rapid desexualization of women once they hit age 30. Where the dad bod means mowing the lawn, drinking beer, and relaxing on the couch, the mom bod means having children and moving from shopping at Anthropologie to Ann Taylor Loft. State of Sexism: A guy with #dadbod, clearly feeling newly empowered, just hit on me because me and my #mombod seemed like a safe bet. 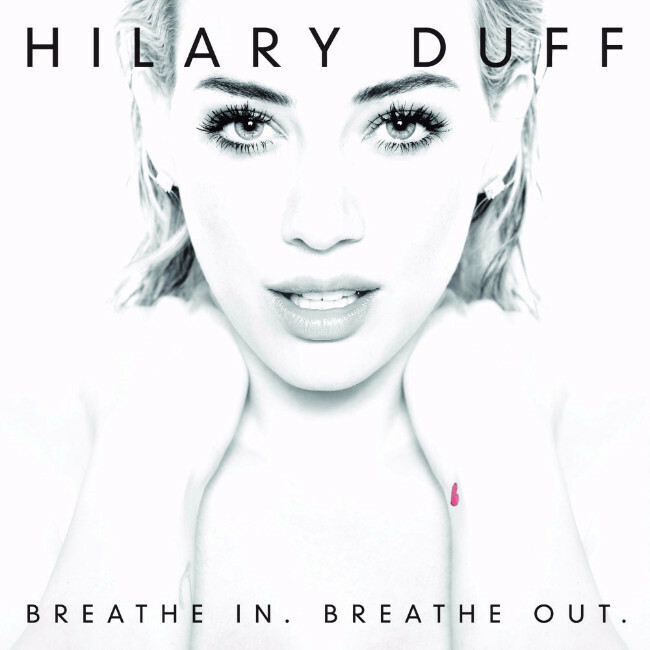 Hilary Duff is approaching 30, a mother and a divorcee, and just released her sixth pop album, Breathe In. Breathe Out.. While most music critics dismiss the album as a collection of overtly saccharine wannabe hits, there is something more to be said about its release. Duff’s peak of fame occurred in the early and mid-2000s, with the help of the Lizzie McGuire television show, a series of albums, and a couple feature length films. She blazed a trail for the young, hyper-sexualized celebrity of the Disney Channel variety, making way for Miley Cyrus and Selena Gomez. Now, almost ten years older than Gomez, Duff has released an album that rivals her younger Disney classmates. Britney Spears, Mariah Carey, Gwen Stefani and many more began to slip out of the realm of celebrity once they started having children. So the mom bod is something that banishes a woman to unattractiveness while the dad bod is a ticket to a weekend of sitting in the backyard with a beer in hand. Breathe In. Breathe Out. confronts this issue by being a stereotypical pop record that includes lyrics about divorce, babies, and the responsibilities of adulthood. Unlike some of the second-tier hits that Christina Aguilera has released in recent years, Duff’s pop culture relevance is believable. When she talks about Tinder in a music video, she balances it out by laughing about the experience of being a single mom who uses dating apps. When she wears leather daisy dukes, she’s singing a song about dating men who say they want a family. Breathe In. Breathe Out. is not a desperate call for attention; the album is an important declaration of sexiness, no matter the age. The mom bod is a cause for celebration and if you’re looking for something fun to dance to, Duff’s new album will do the trick. Tags: breathe in breathe out, dad bod, disney, hilary duff, katie olson, mom bod, new releases, pop, pop culture. Bookmark the permalink.